Anyone who bakes has likely spent a few hours deliberating over this at one time or another. 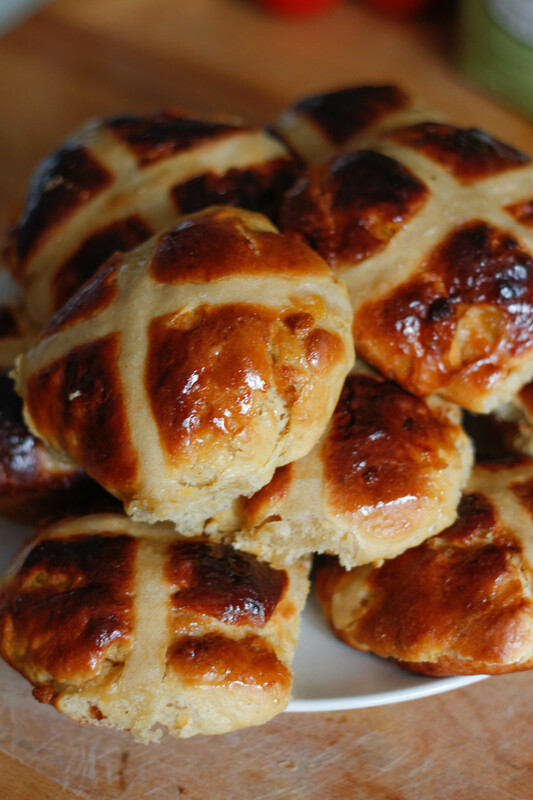 Hot cross buns and simnel cakes are traditional… But hot cross buns don’t make for a very interesting dessert, and simnel cake… Well, a fruit cake topped with marzipan is really not for everyone. But traditional doesn’t seem to be the way to go these days. Look online and you’ll see websites labelling almost anything as an Easter dessert. Tres Leches? A great dessert for Easter, but not really an Easter dessert. I’ll admit that some of the regular cakes that have been Easter-fied are rather impressive; cupcakes made into nests, bunnies, chicks, cakes that spill chocolate eggs when you cut into them… I’ve even seen carrot shaped cakes… I see the connection here, but it’s not really my idea of an Easter dessert. Although I’m sure I would revisit this conclusion if I was baking for kids… Sure sweetheart, bunny cake it is! You can put anything you want in them. Oh, the possibilities… Add in some cranberries, leave out the boring old sultanas… scrap the fruit altogether and chuck in three kinds of chocolate. Sounding a little better now? My choices? Well I actually like a bit of fruit and spice, but sultanas really are boring, so to spice things up a bit (no pun intended) I replaced the sultanas with dried apricot pieces and added in some white chocolate and stem ginger. 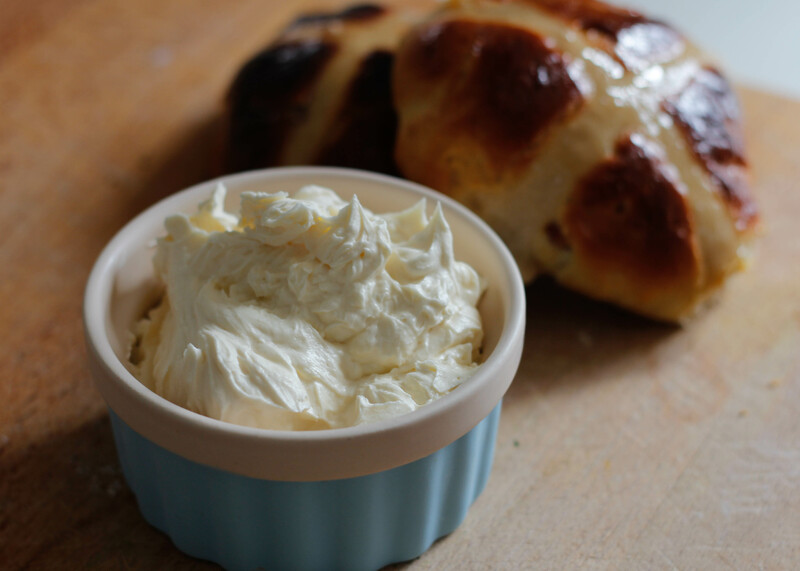 A little more interesting, certainly, but still not an overly exciting Easter dessert… And that’s where the whipped white chocolate & honey butter comes in… Now that’s a dessert. 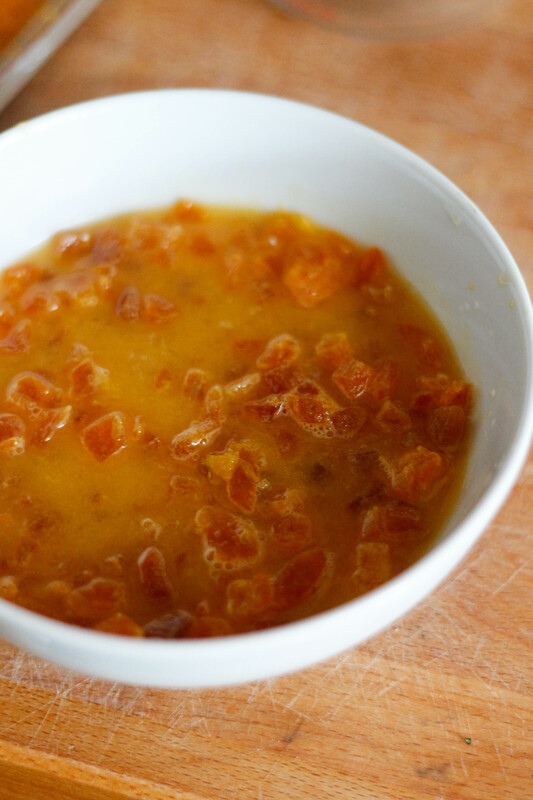 Grate the zest off the orange and set aside, then squeeze the juice over the dried apricots and leave to soak. 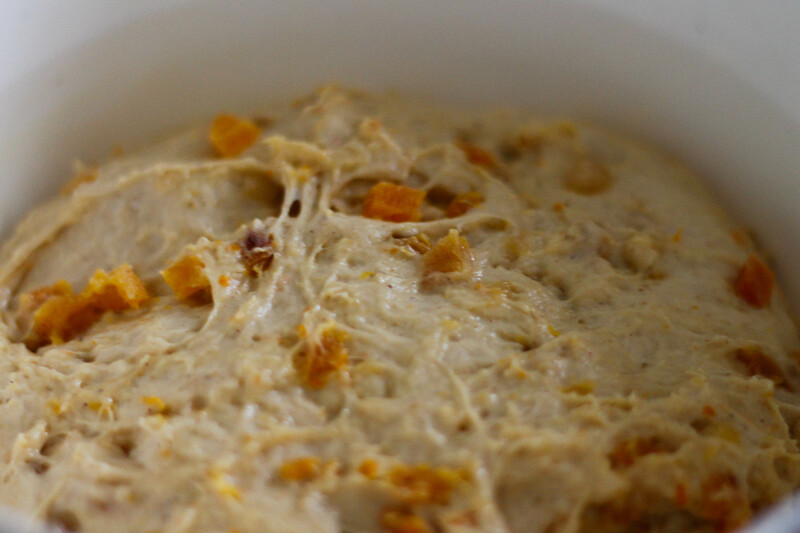 Place the milk, cloves, cardamom and cinnamon stick into a saucepan and gently bring to a boil. Set aside, leaving the spices to infuse. Place the yeast into a bowl and once the milk cools to hand temperature pour it through a sieve into the bowl with the yeast. Whisk to combine, cover with a tea towel, and set aside for 15 minutes to activate. In the meantime, melt the butter and set aside to cool. 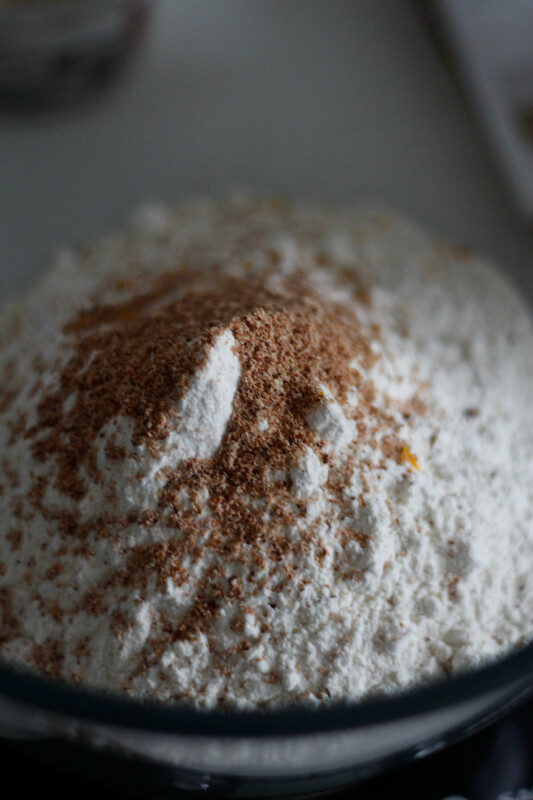 Then, in a separate bowl, combine the flour, sugar, salt, nutmeg, orange zest and spices. 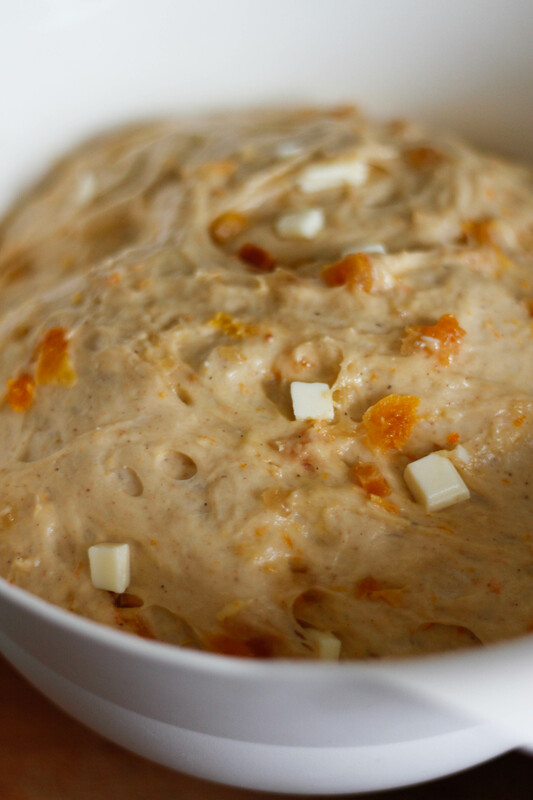 Strain the orange juice from the apricots and add this to the dry ingredients, along with the yeast mixture, melted butter, and lightly beaten eggs. 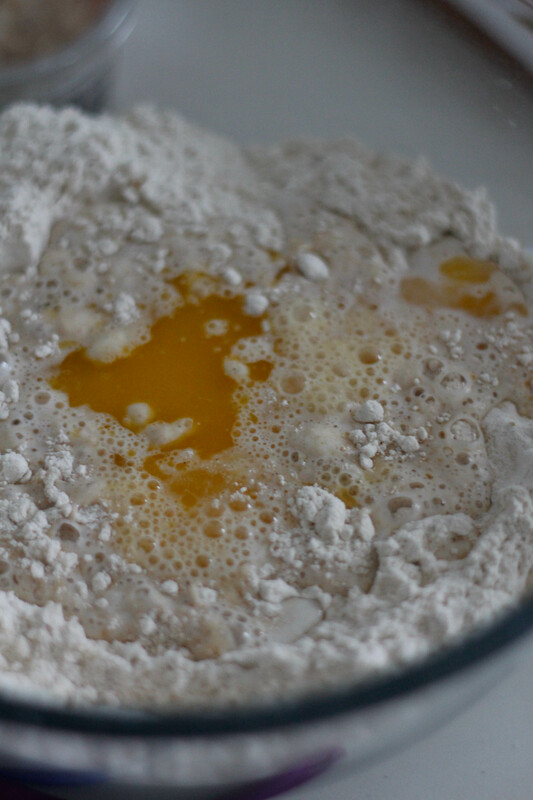 Bring together using a fork, mixing until you have a rough dough. 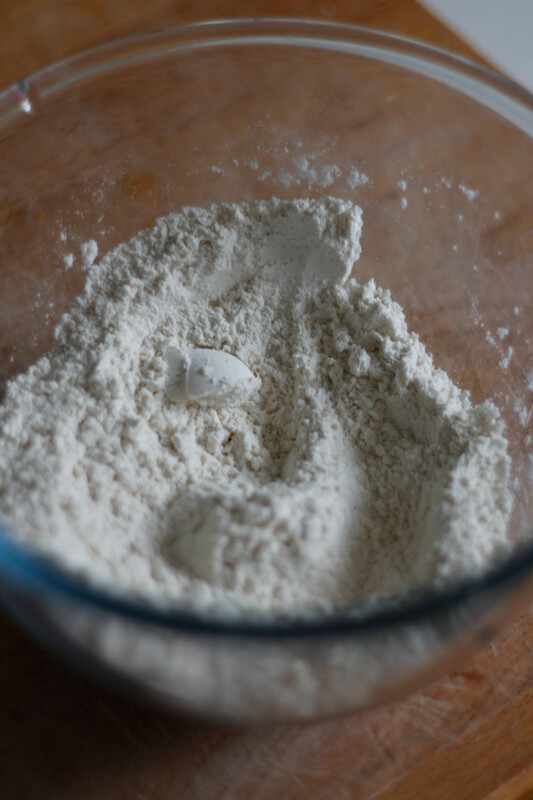 Tip the dough out onto a clean work surface lightly dusted with flour and knead for around 5 – 10 minutes, or just until you have a smooth, springy dough. 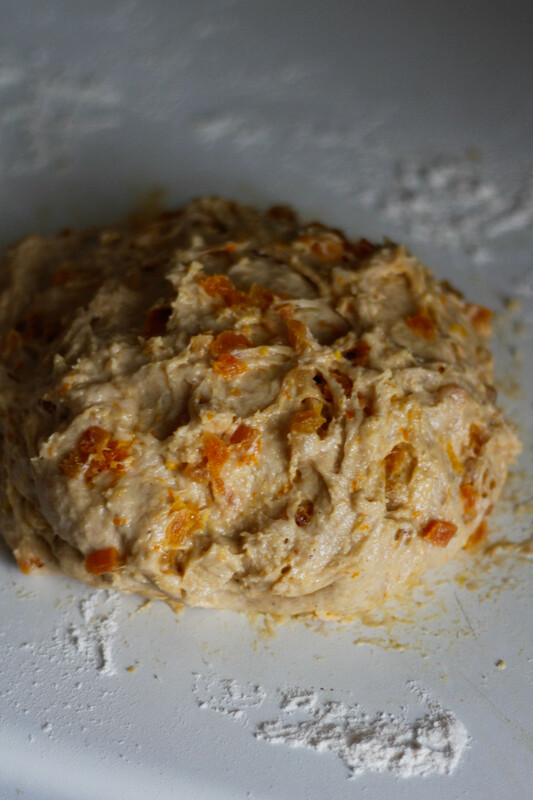 Add the apricots and stem ginger and knead again until well distributed. Place the dough into a lightly oiled bowl and cover with oiled cling film. 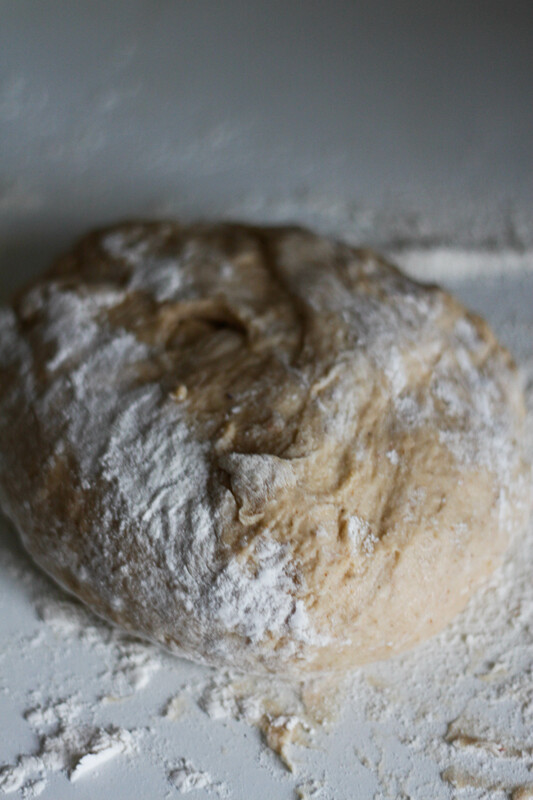 Leave to rise in a warm place for one hour until the dough has doubled in size. 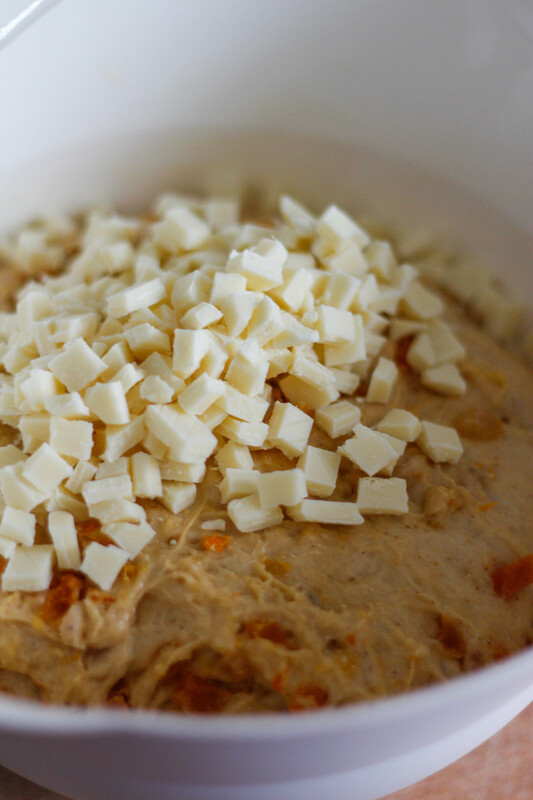 Tip the white chocolate pieces onto the dough and knead them in, knocking out the air as you go. Try to do this quickly so that you don’t melt the chocolate with your warm hands! 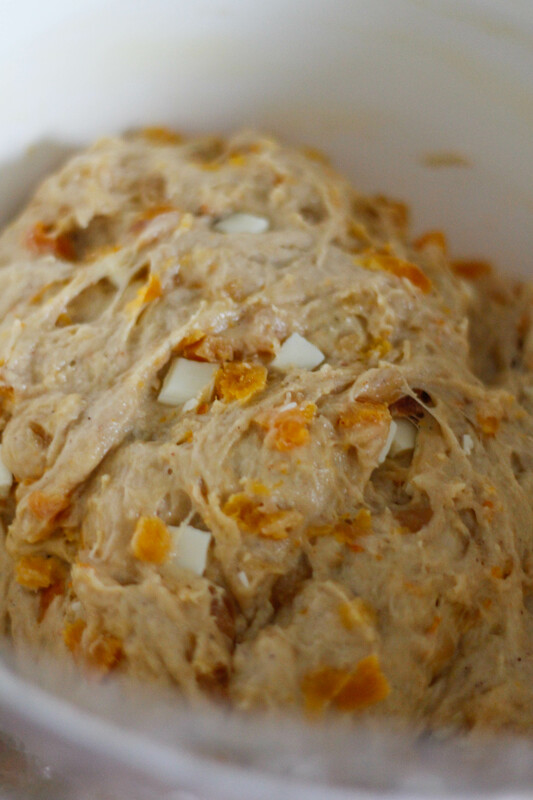 Cover the dough with the oiled cling film again and leave it to rise for another hour. 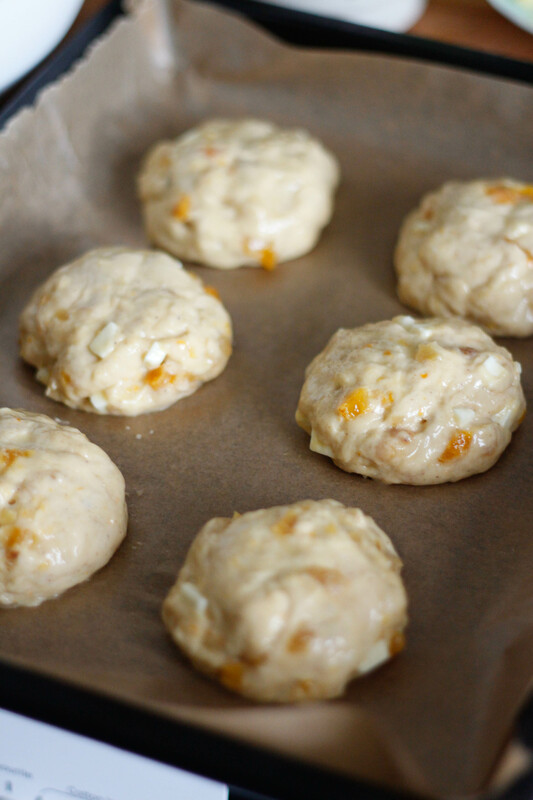 Once the dough has doubled in size, divide it into 16 even pieces and roll each into a ball. 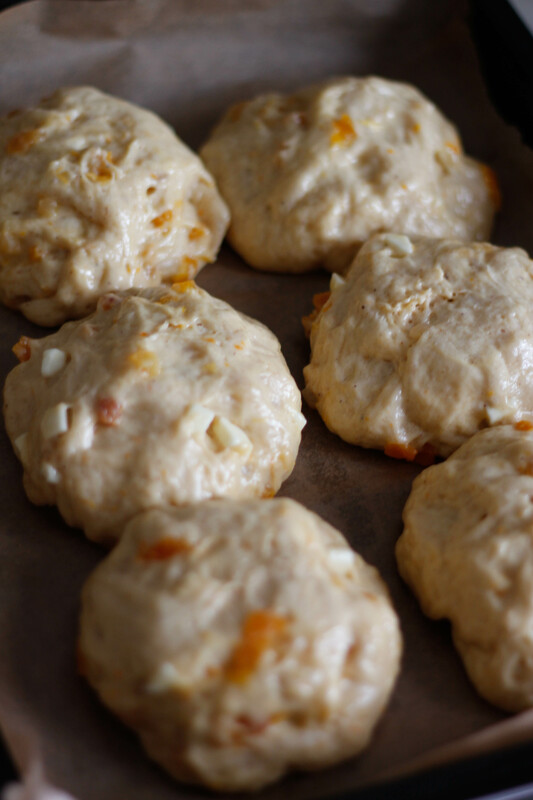 Place the dough balls onto baking trays lined with baking paper and lightly cover with oiled cling film. Set aside to prove from one more hour. This is the most important prove, as this is the air that will eventually be baked into your buns. 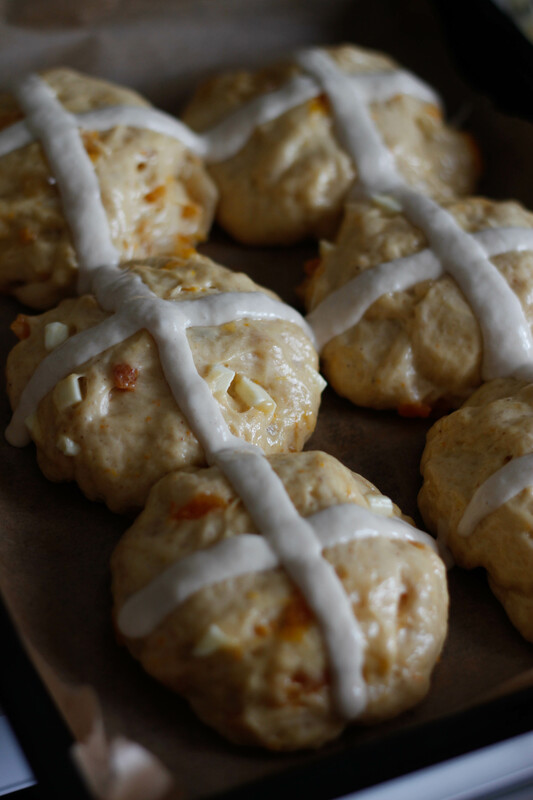 While your buns are proving you can make the crosses. 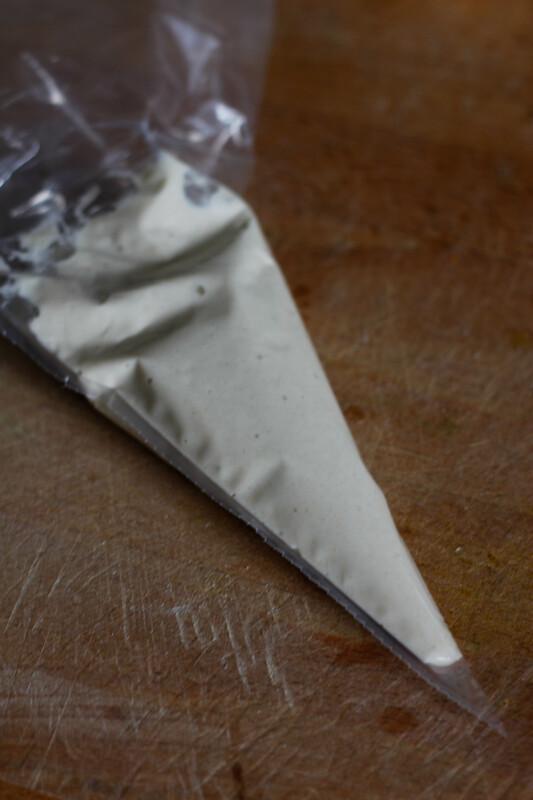 Combine the flour and sugar, then add the water 1 Tbsp at a time, mixing until you have a thick paste. Spoon the paste into a piping bag, ready to pipe onto your buns. 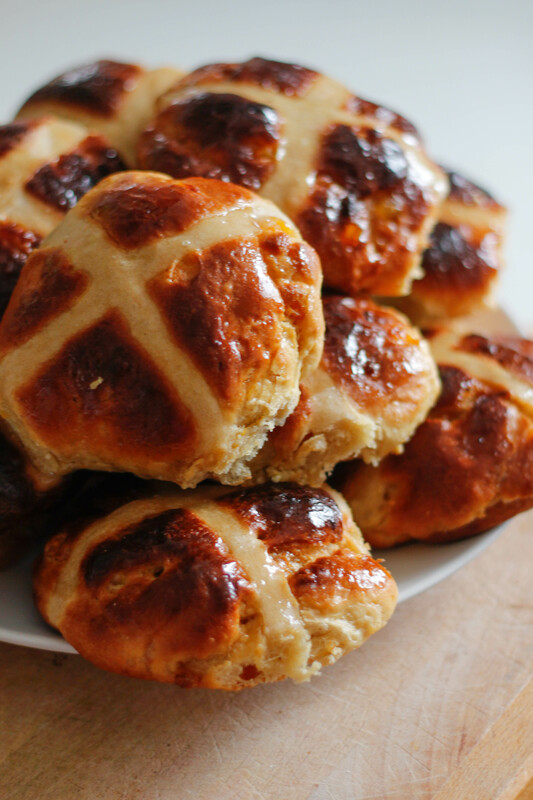 Preheat your oven to 200°C/400° F/Gas Mark 6, and once the buns have finished proving, cut the tip off the piping bag and pipe a cross over each bun. 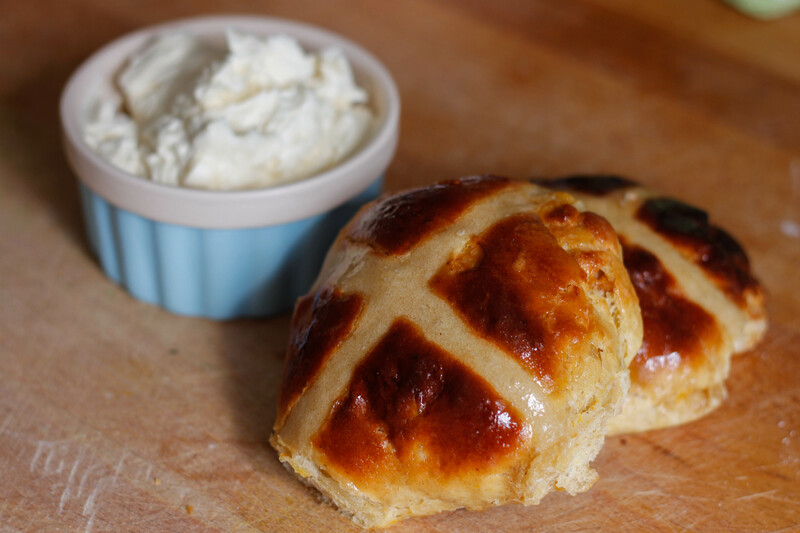 Try to move the bag swiftly over the bun when piping your cross, as this will make for a finer, straighter cross. Bake the buns for 15 – 20 minutes, or until golden brown in colour. 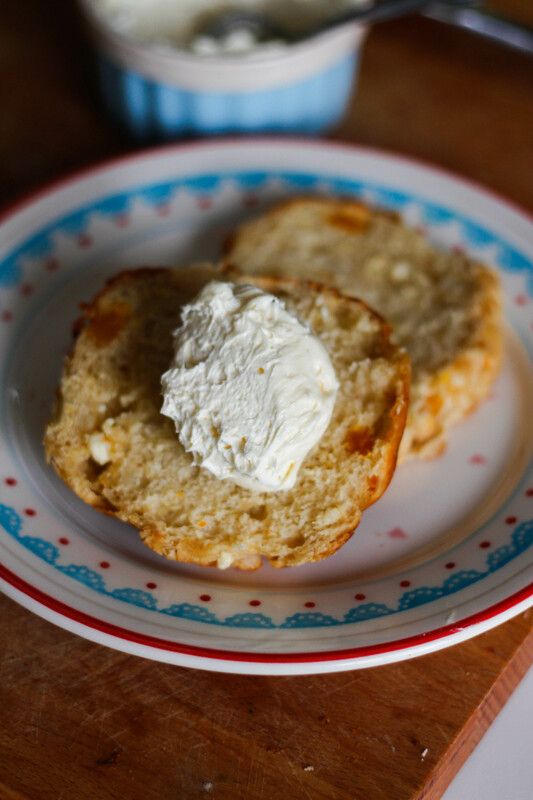 While the buns are in the oven, combine the muscovado sugar and boiling water for the glaze. 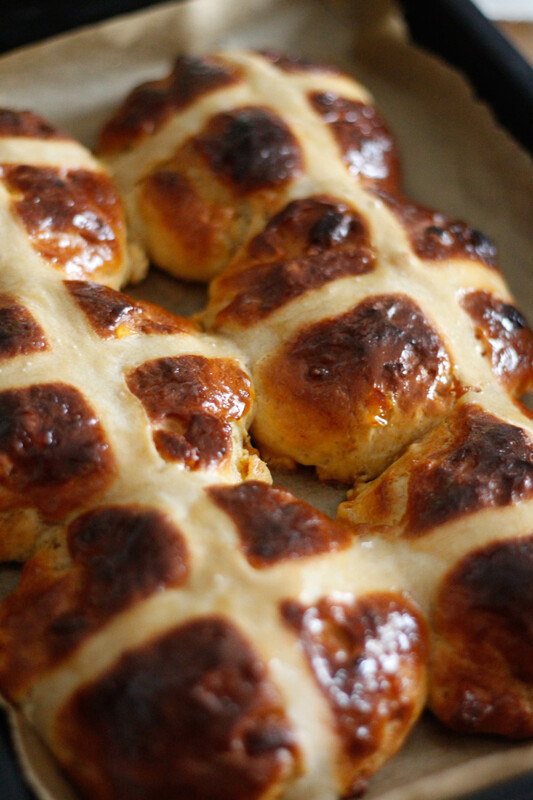 Once you have removed the buns from the oven, place onto a wire cooling rach and brush with the glaze. 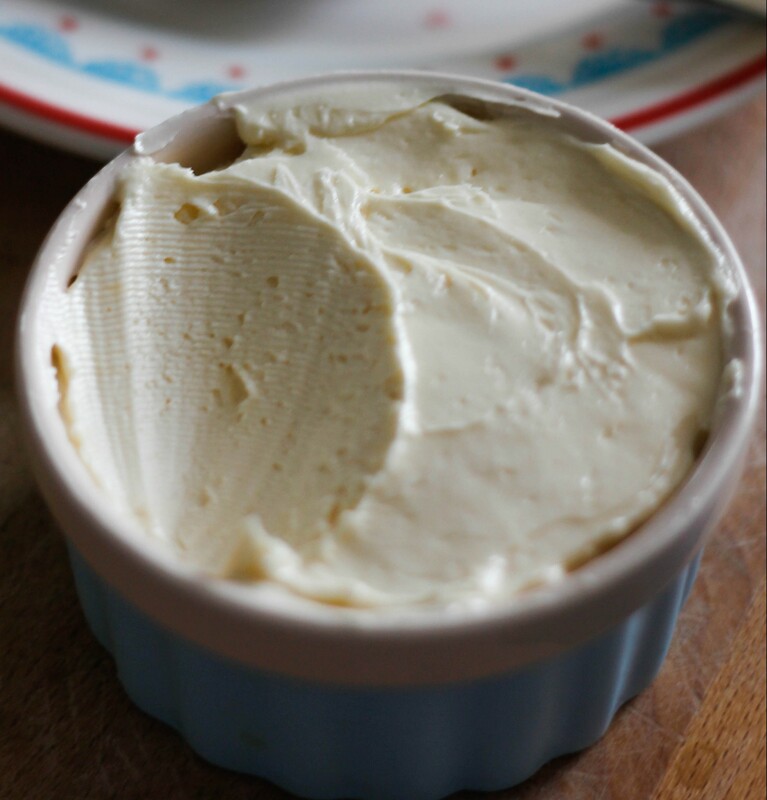 To make the whipped white chocolate and honey butter, gently melt the white chocolate either over a double boiler or in the microwave and set aside to cool. Beat the butter until smooth, then add in the honey. 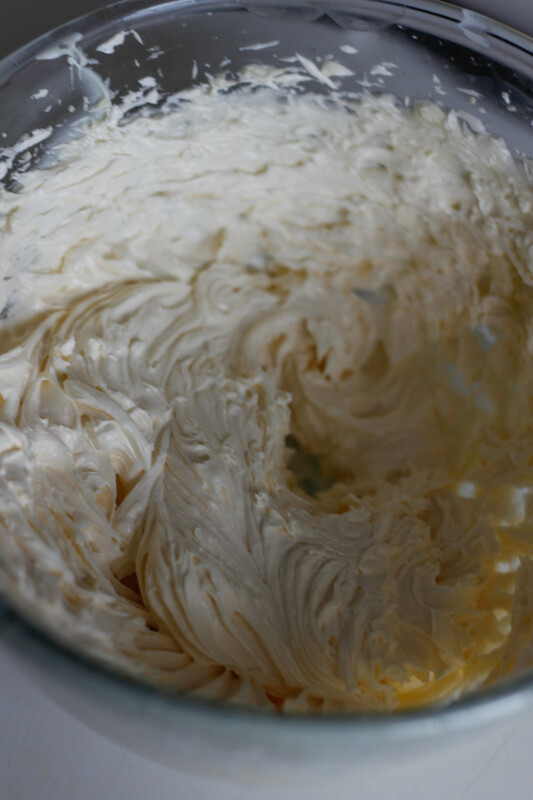 Add the cooled white chocolate and beat again until the mixture is light and fluffy. 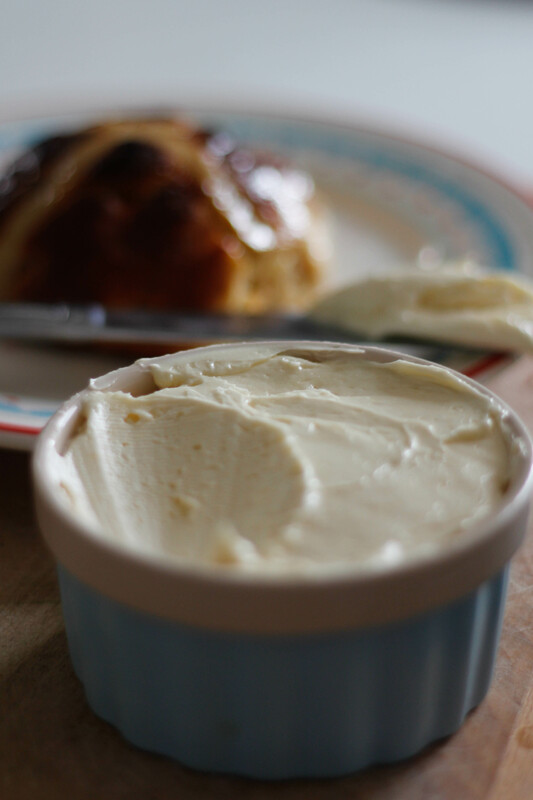 Spread whipped butter liberally over over your buns and consume warm, fresh from the oven. Thanks Arielle! 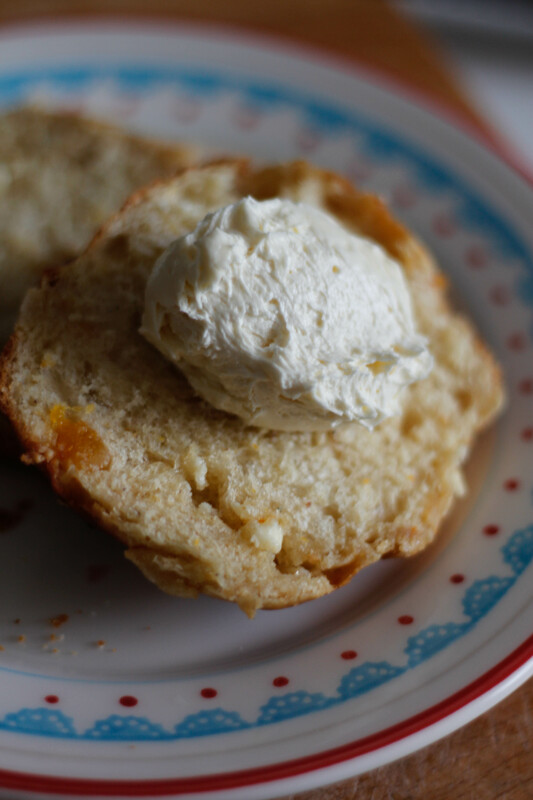 It’s the whipped white chocolate & honey butter that makes them… Oh so deliciously decadent! Wow the chocolate honey butter is such a great and original idea! 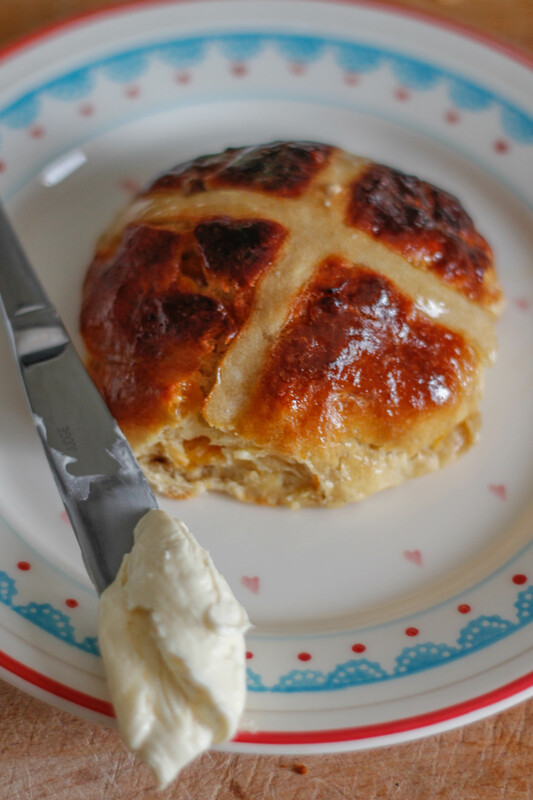 I might try and make a dairy free version when I make Hot Cross Buns for my family this weekend. Thanks for sharing! Honestly, the butter and honey without the chocolate is divine!! 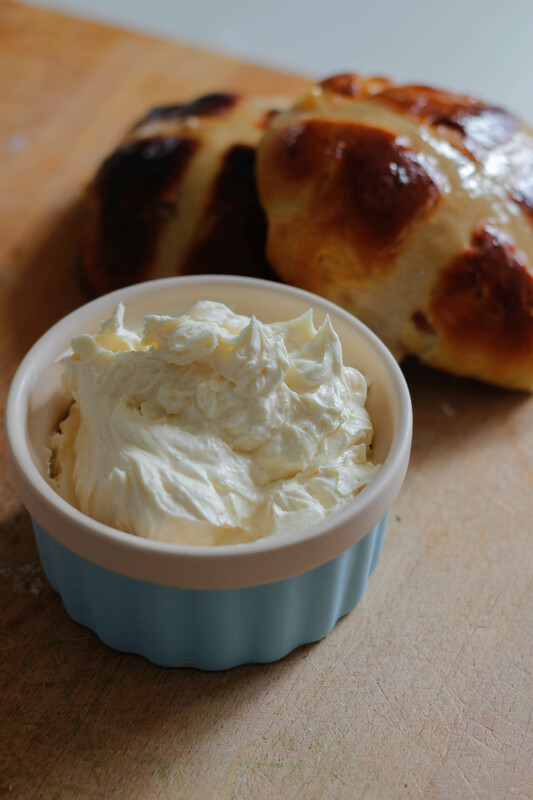 I’ve never tried whipping a dairy free butter alternative, but do let me know how it goes if you try it! 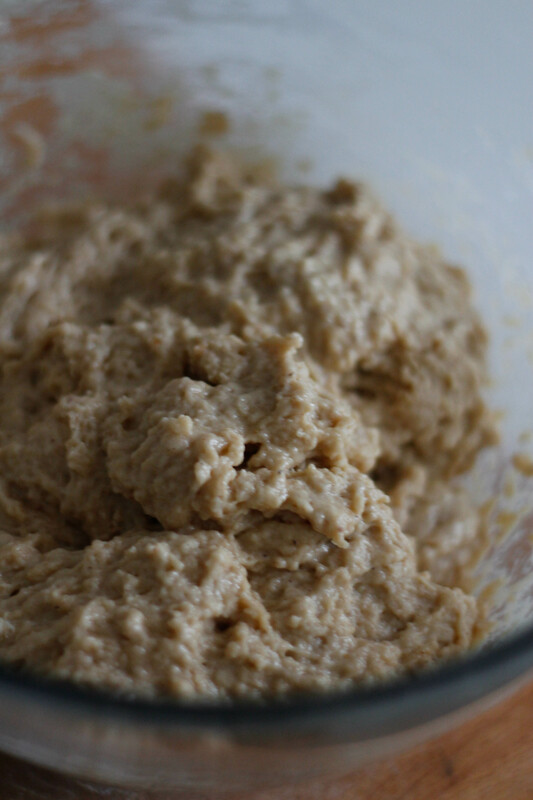 I might just have to try that.. Do you have a good spelt starter recipe?